Open the file in the Editor. Go to Analyse -> Inspect Code. 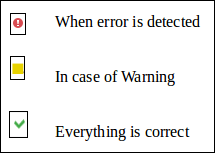 Go to Analyse -> Run Inspection By Name. 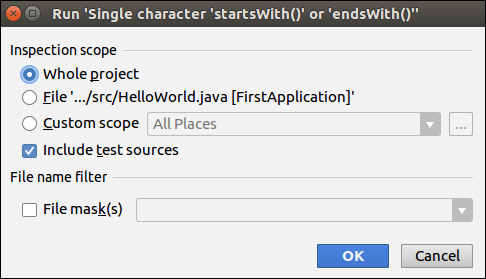 Select the Include test sources checkbox. Select the File Masks, if we want to apply Inspection only in that files which have matching the specific Masks. 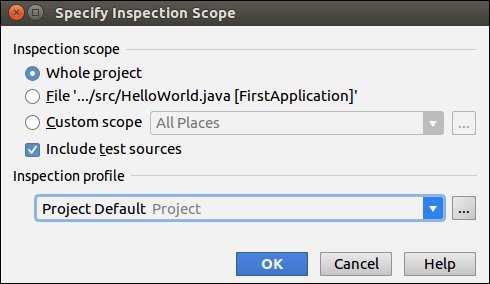 Click Ok.
During Code Inspection, we can also tell IntelliJ IDEA about the type of problems we would like to search for and get reports about them. This action can be performed by the Inspection Profile. Inspection Profile can be applicable for both: the entire IDE or only for the specific project.